"Most Thorough Rug Cleaning Santa Barbara!" you shouldn't have the cleanest rugs in Santa Barbara? and now I'm giving it to them! So many of my new clients have told me they were sick of the "cheap, top surface only cleaning" their rugs were getting from other carpet cleaning companies. I am constantly seeing the results of these un-educated cleaners. I've had to correct too many of those bargain coupon cleaning jobs. It ends up costing the unsuspecting homeowner more in the long run. Don't be a victim of these cheap un-ethical rug cleaners! They use harsh, cheap, and even dangerous cleaning agents (leaving toxic amounts of chemical residue in your home.) Some of these residues are not even safe for your pets much less your children. The cheap chemicals that these un-educated rug cleaners use are so harsh that they strip the life from the rug fibers adding years to the wear age. Plus these rug cleaners don't even pull out all the embedded soil debris that ends up at the lower part of your fibers which will cause your rugs to resoil quickly and wear out faster (we call it ugly out!). This means you're going to need to replace your rugs sooner (big bucks! )...and that your home won't be as healthy. These type of rug cleaners are untrained, uneducated, unethical, and downright unscrupulous rug cleaners. So not only will you pay more in the long run by going with "cheap coupon rug cleaners" ... you won't be enjoying all the benefits of a great looking rug, and a safe healthy home. Our clients say they feel healthier after we clean their rugs! Would you like a healthier home? Call 682-9483 Right Now! I'm not only dedicated to giving your rugs & carets the most thorough and healthy cleaning ever... I'm also dedicated to helping to improve the quality of your life by making your home the optimal healthy environment for your family. I don't think you'll hear this from any other carpet cleaner! This is why I give a Free Rug Evaluation & Price Quote where I take a close look at your rugs and tell you exactly what will help them look their best, and what we can do to remove anything from them that could be causing an unhealthy environment in your home. Long Lasting Deep Clean - We extract all the soil, harmful bacteria, dust mites, grime and debris of 100% of your rug yarns, from the bottom to the top. We don't just buff the surface like some bonnet or carbonation methods (All Natural & Dry-Chemical Systems) do. With our most thorough cleaning process your rugs and carpets will stay cleaner longer because we extract & rinse away all of the soil, debris and residue. Kills Germs, Bacteria, and Dust Mites - Our High Powered, Truck-Mounted Steam Extraction process kills and extracts germs, bacteria, and dust mites from your rug fibers. 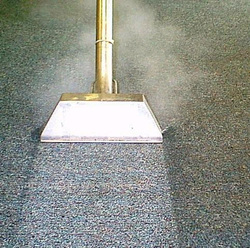 Over 98% of the carpet mills recommends Hot Water Extraction (steam) as the preferred cleaning method. We Use Baby Safe-Bio-Degradable Cleaning Agents -The cleaning agents we use are designed for your particular rug & carpet fibers and are safe for children & pets. No Cleaning Residue Left in Your Rugs - We use a clear soft water final rinse to make sure absolutely no cleaning residue is left in any of your rug yarns. By flushing out all the dirt, grime, and cleaning agents we restore your matted traffic lanes to fluffy and soft rug fibers with no sticky soap residue. This final process makes your rugs and carpet stay cleaner longer, with no reappearing stains. Faster Drying Time - Because of our deep extraction, high-powered truck mounted equipment, we pick up 95% of the moisture we put down. Only your rug fibers are barely damp. Depending on the grade of rug, size of rug cleaned and air circulation in your home, drying time may vary. In most cases, you can walk on your rug immediately. We Never Cut Corners, We Just Clean Them - We take all the neccesary time needed to clean every square inch thoroughly. We are not a high volume rug cleaning company that cleans many rugs each day. 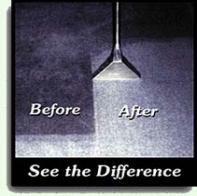 We are more concerned with the quality, than the quantity of rug cleaning jobs we do each day. We Move Most Furniture - We move most furniture and place plastic tabs and blocks under the furniture so the rug will dry properly and to protect your furniture and rug. We are IICRC Certified and a Chosen Member of Ethical Services - This assures you that we have been trained, tested and we abide by a strict code of ethics which results in the highest level of customer satisfaction. 100% Satifaction Guaranteed in Writing - or our service is FREE! - There is nothing worse than paying for a service and not being happy or thrilled with the results. You have peace of mind always when you use Healthy Home Plus to clean your rugs because our guarantee to you is in writing. You simply can not lose with Healthy Home Plus. We really guarantee it! Over 30 Years of Experience - As the saying goes "practice makes perfect." And we have perfected our rug cleaning methods and spotting techniques to give our clients maximum cleaning results. If it can be gotten out, Healthy Home Plus gets it out. Honest, Professional and Friendly Service - You will receive friendly, informative, and caring service from your first phone call to the completion of your job. We also call a day or two later to make sure you are still thrilled with our service. What are you waiting for? Give us a call right now at 682-9483, so you can have the Fluffiest - Cleanest Rugs & Carpet in Santa Barbara and beyond! The Rug Evaluation & Price Quote is FREE, and there's no obligation. I come out in uniform and I treat your home the way I would like others to treat my own home. Isn't this what you are looking for from a professional rug cleaning company? Rug Evaluation & Exact Price Quote at 682-9483.
you too can enjoy A Healthy Home!